Building a business relationship with clients, consumers, and other entities is essential for any business, whether you sell products and goods, or provide services. Businesses grow by gaining and building relations not only with prospective customer feedback but also with existing ones. This allows the business to grow and become successful. Before any transaction is done between a business and a client, a price quotation is usually provided by the company to their prospective and existing customers. How do you define a price quotation? A price quotation is a formal document created by a business that outlines the prices and other information of a particular product or service that the business provides. A customer or client usually requests price quotation formats from the various business that provide the same products, goods, and/or services that he/she wants to purchase. This allows the buyer to compare prices, quality, and specifications from different sellers. A price quotation also helps the business or the seller to have a clear understanding of the requirement documents of the buyer, which will help them determine whether they can provide the products and services being requested. This is why it is important for the seller to provide a well-crafted price quotation that includes all the necessary information needed by the buyer. In this article, we will be talking about the importance of a price quotation, the elements that you need to include in a price quotation, as well as the steps that you need to do to create an quotation and usable price quotation document that will help you win business. 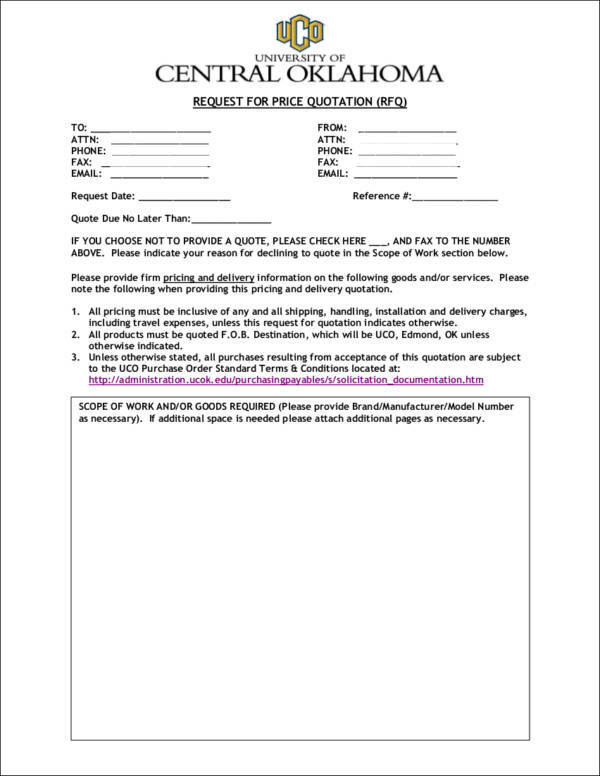 What Are the Advantages of Using a Price Quotation Template? One of the advantages of using a price quotation template is that it is supported by various editing and processing software quotation. This means that you will be able to easily edit the contents of the template to fit your needs and preferences. 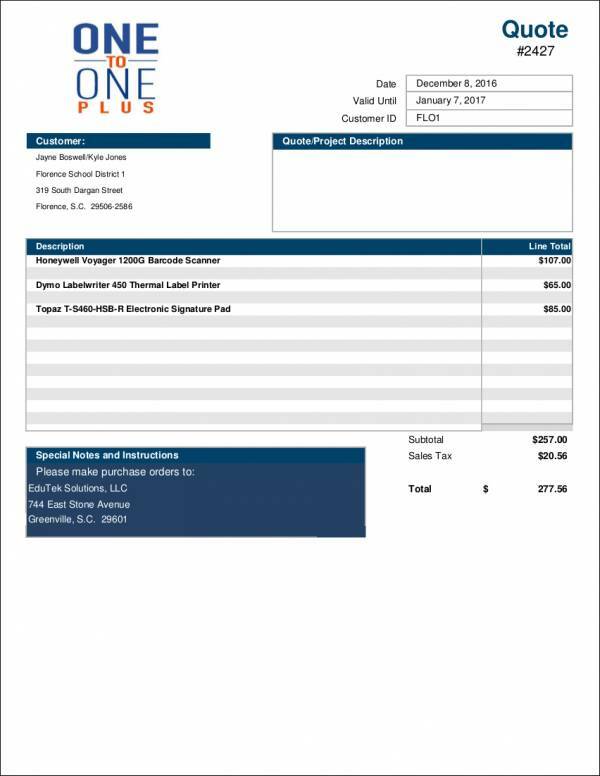 Through a price quotation template, you will also be able to add your business’s logo to make your document look more professional. 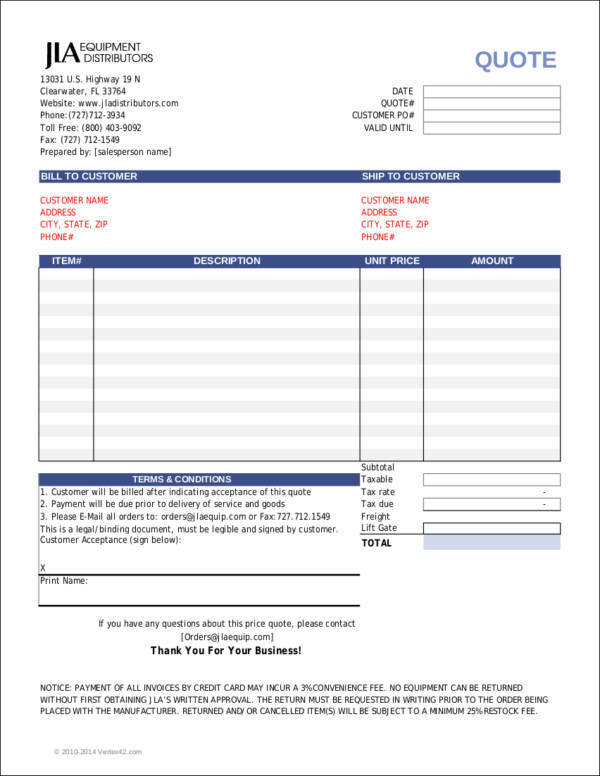 Another advantage of using a price quotation template is that it contains all the important elements and information sheets that a price quotation should contain. This information can be edited depending on the information that you need to add in your document. 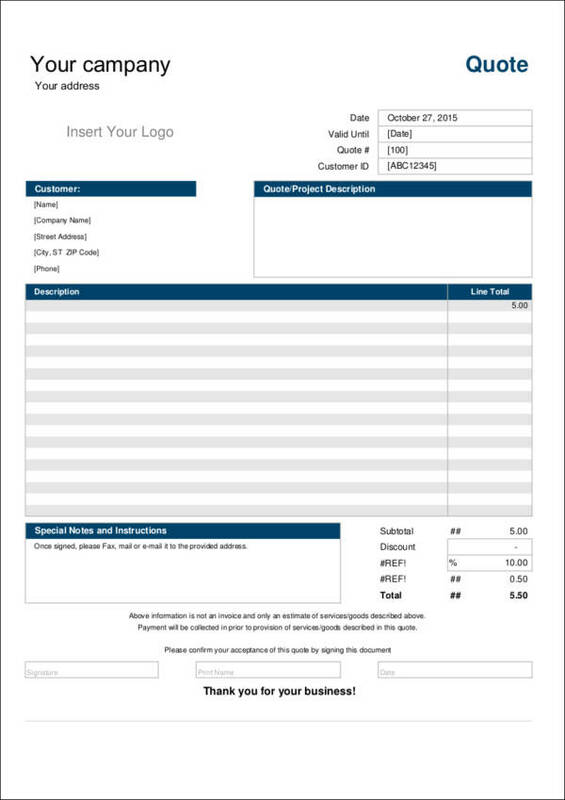 Lastly, the advantage of using a downloadable price quotation template is that it allows you to save time. Instead of creating a price quotation every time a buyer or client requests for one, which can be time-consuming, you can download and edit the templates that we have provided on this page. 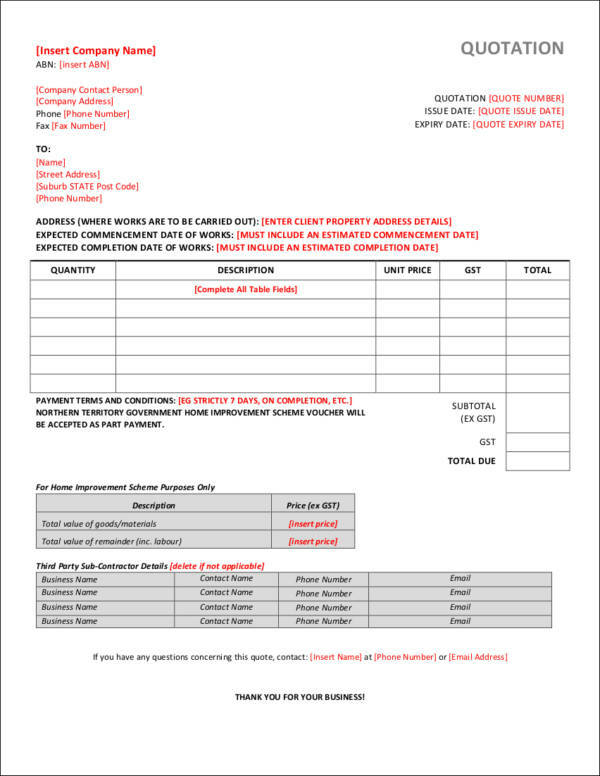 One of the main benefits of having a price quotation form is that it allows the buyer or the client to compare the prices as well as the quality of the products and/or services that he/she wants to purchase from various companies and businesses. This will help them choose the products and services that fit their preferences. Through a price quotation, a business or company will be able to create and build a mutual relationship with a client or buyer. Usually, a buyer provides a document to the seller to request for a quotation of a particular product and/or service that the buyer plans to purchase from the business. 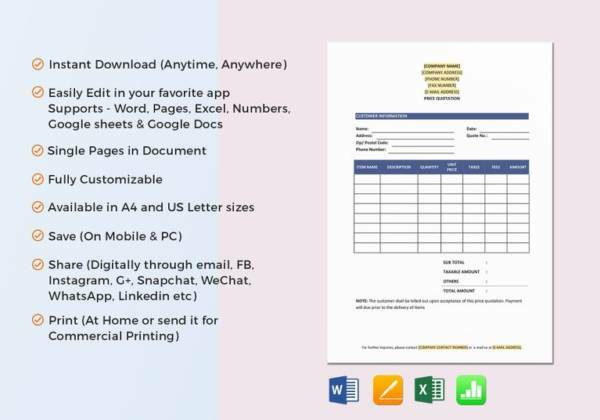 With this, the seller will also provide a document such as a price quotation that will be used to list down all the necessary information needed by the client like the quantity, prices, payment terms, and so on. Through this, both the seller and the buyer will be able to build a relationship that will benefit both parties, ensuring that there will be repeat transactions in the future. 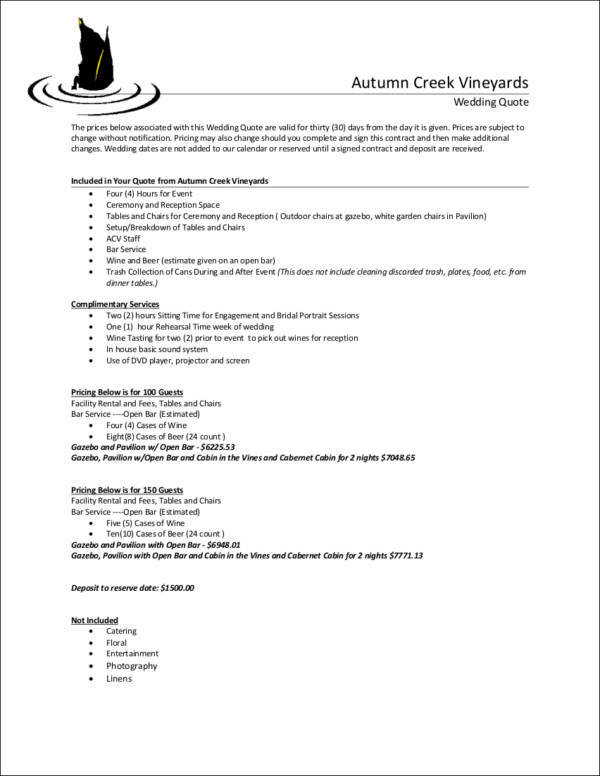 A price quotation can provide more opportunities for a business since this document can be used as a medium to market the different products and service quotations of the business. Aside from the basic information found in a price quotation such as a list of the products and services that a particular business is offering, a price quotation also includes other items such as a company profile, brochures, and other marketing paraphernalia. As we have mentioned above, a price quotation is a document that can be used as a marketing tool for a business to reach more clients and customers. In a price quotation, it is important for the seller to include all the important information about the business. This includes the name of the business, the address, contact information, email address, and their logo. 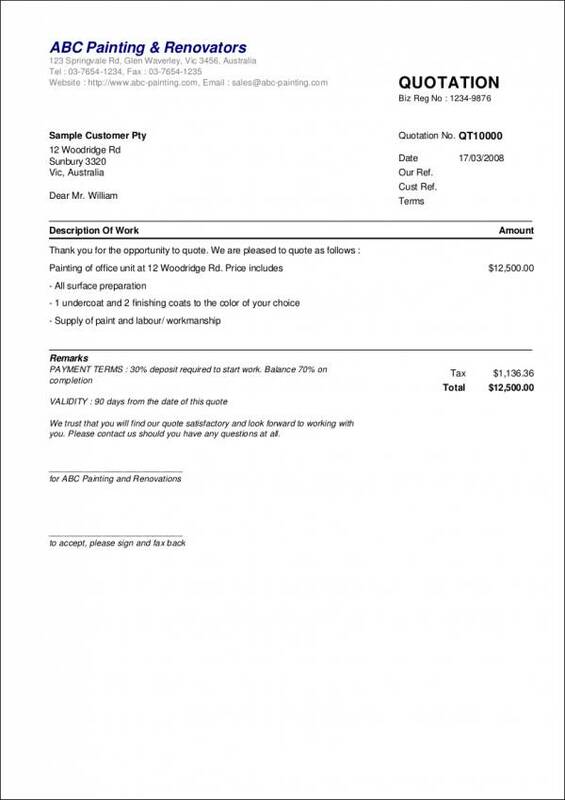 Properly indicating the type of document that you are creating is essential to be present in the price quotation letter that you will create. This is to ensure that both parties clearly understand the purpose of the document. Write the words “Price Quotation” at the uppermost part of the document. When creating a price quotation, always include a quotation number. Having a quotation number will make it easier for the business or the seller to track the quotation example that they have. Since the prices of various products, goods, and services change depending on the supply, demands, and the season, a price quotation template can only be valid for a particular period. This is why it is important that you specify the validity of the price quotation that you will create. The price quotation should also specify the name of the individual or the company who has requested the quotation. Since a price quotation samples is a formal document, it is important for you to include not only the information of the seller but also the buyer. The business or the seller should also specify the terms of payment. For example, if a seller accepts cash on delivery, cash payments only, credit, etc., it is important for the business to clearly lay out these information in the price quotation. A description of each of the products being quoted should be written in the document. These include the price of each of the items, the quantity, and the total amount of each type of product and/or service. 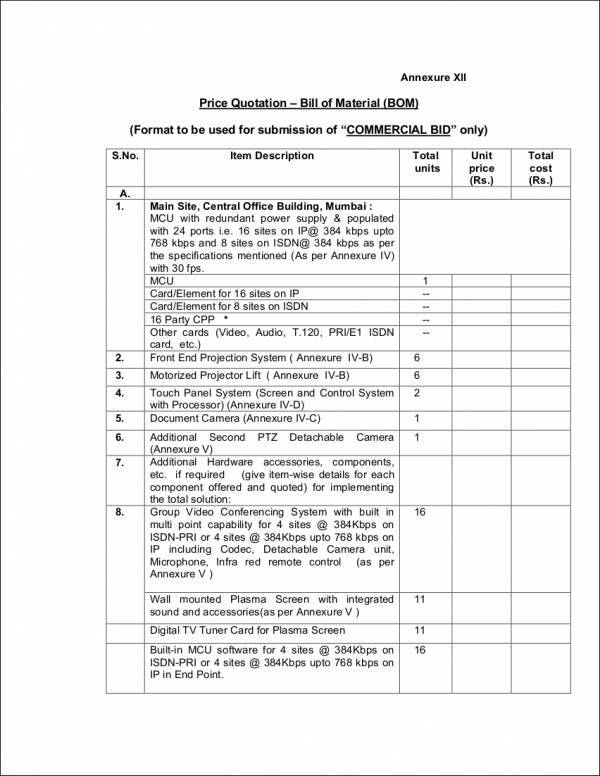 After you have included a description of the goods, write the total amount of the items being quoted. This includes the tax charges, delivery order charges, and other important information. The signature of the representative of the business should also be included in the price quotation. 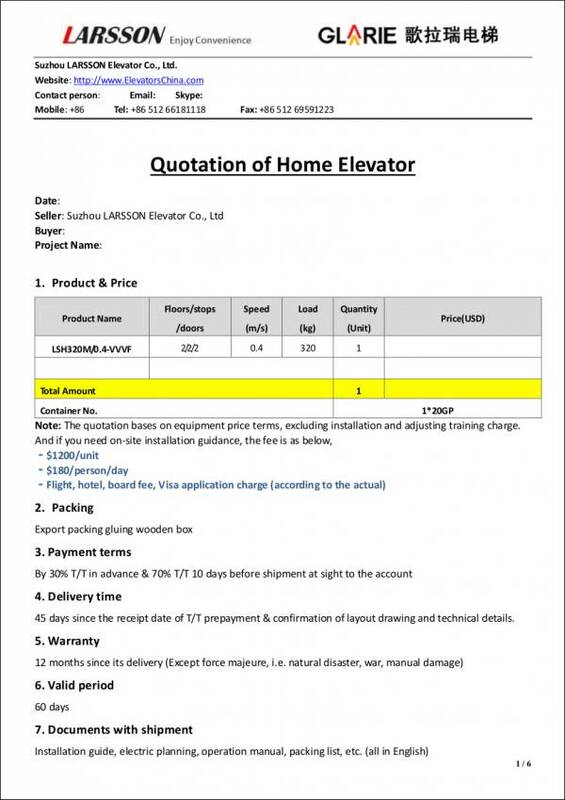 This is essential to assure the buyer that all the information indicated in the sample quotation template is accurate. There are various mediums in which a price quotation can be sent. A price quotation uses can either be sent through electronic or digital means, as well as through printed or hardbound documents. To help you understand the difference between the two, we will be discussing more of it below. One of the fastest and easiest ways for a business or seller to send a price quotation is through email or through the Internet. Some businesses prefer to send a price quotation formats to a potential buyer through email especially when a transaction is urgent. 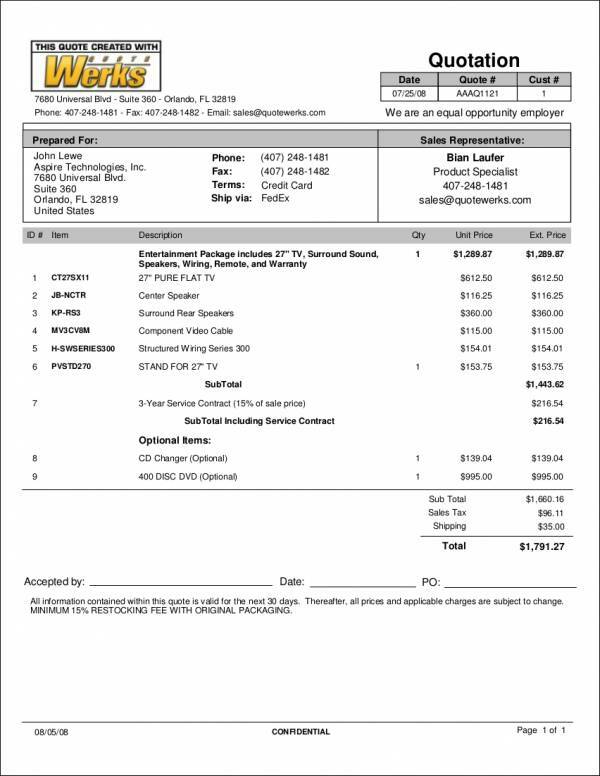 A price quotation that is sent through email is also as effective as a printed price quotation document. 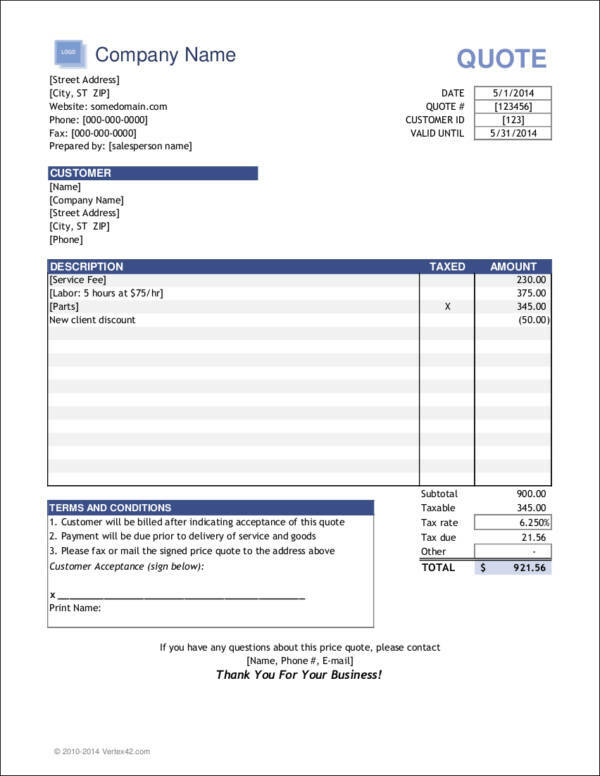 Although a price quotation can be sent digitally or through email, some businesses still prefer to send out quotation ideas using printed or hardbound documents. Having a printed document will also allow businesses to have a physical document, which will make it easier for them to record transactions.